Edit: (12-29-2012) -Here's the forum topic Danimal started which caused me to join NewGrounds inorder to get permission from Hyptosis to upload his art to OGA. Scroll down to where you see "Author Comments" and "Reviews" and look to the left. You'll see "Lincensing Terms" which specify the CC BY 3.0 license. Here's a couple quotes from Hyptosis that I recieved in a PM on NewGrounds. Hyptosis: "Actually I think a lot of the cream of the crop is already on there! But feel free to distribute it anywhere you want, have a good one man! Hyptosis: "Yeah man, all I want is credit. Anyone can use these for anything. Thanks!" 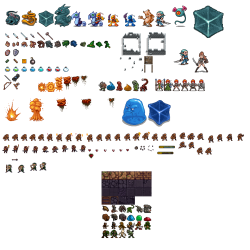 Almost enough free art to make an entire game with. 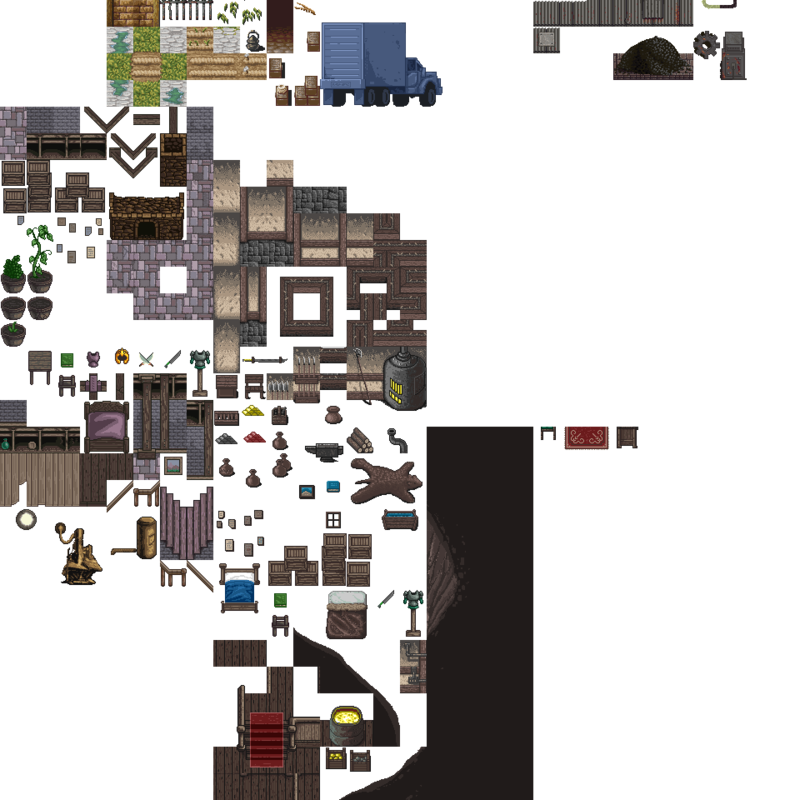 Hyptosis was kind enough to give these tiles away instead of having them go to waste on one of his storage drives. Here's a quote from him. "First thing first, I'm releasing a lot of my old art for public use. I've had so many irons in the fire for so long, it's been a really really rough past couple of weeks. Hit after hit after hit and I'm getting tired and I'm running out of money. 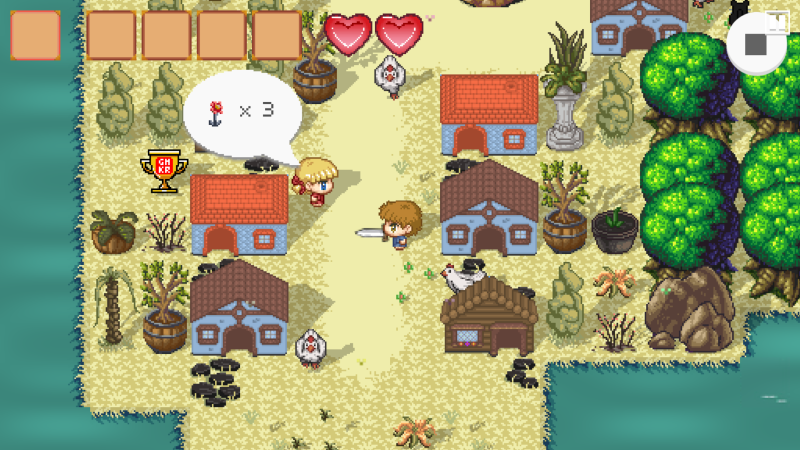 I've worked on dozens of games and none of them are ever going to get finished, mostly because the programmers lost interest, but in a few cases it's just me too. Some of these art assets are just culled from projects that we may yet finish as well. 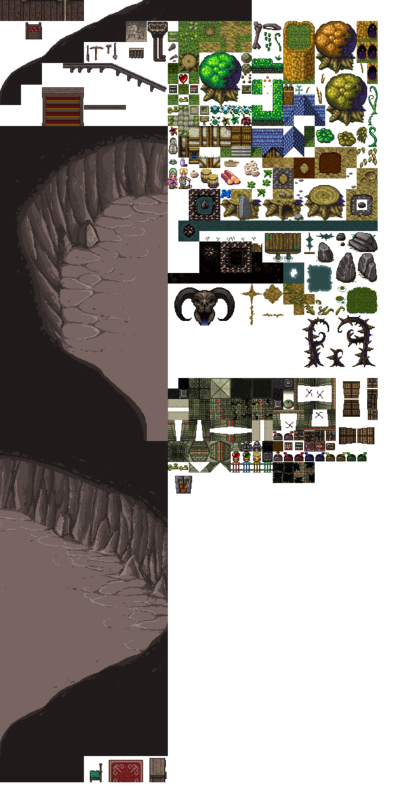 Anyway, point is, here is some art for you guys to use in your games if you want! 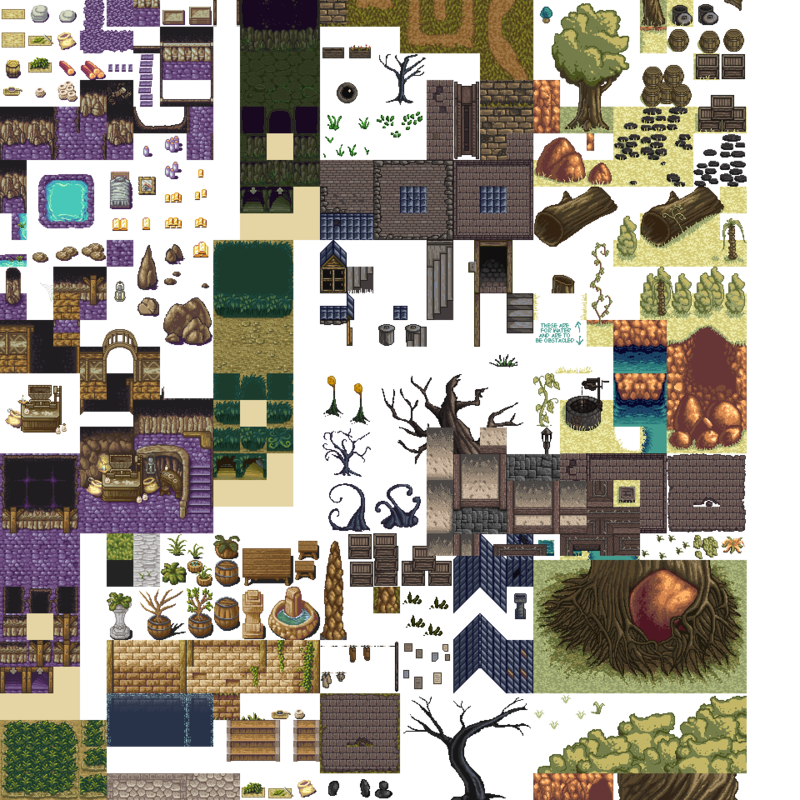 The first link is where he made his files available and the second is his OGA page where you'll find even more of his tiles in the same style. 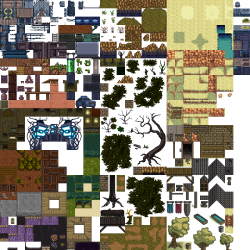 These are all 32X32 except for batch5 it's 16X16 pixels. The preview was made by Hyptosis (of one of his many unfinished games) and everything you see in the preview is in here, except the character portrait, waterfall, and a bush. 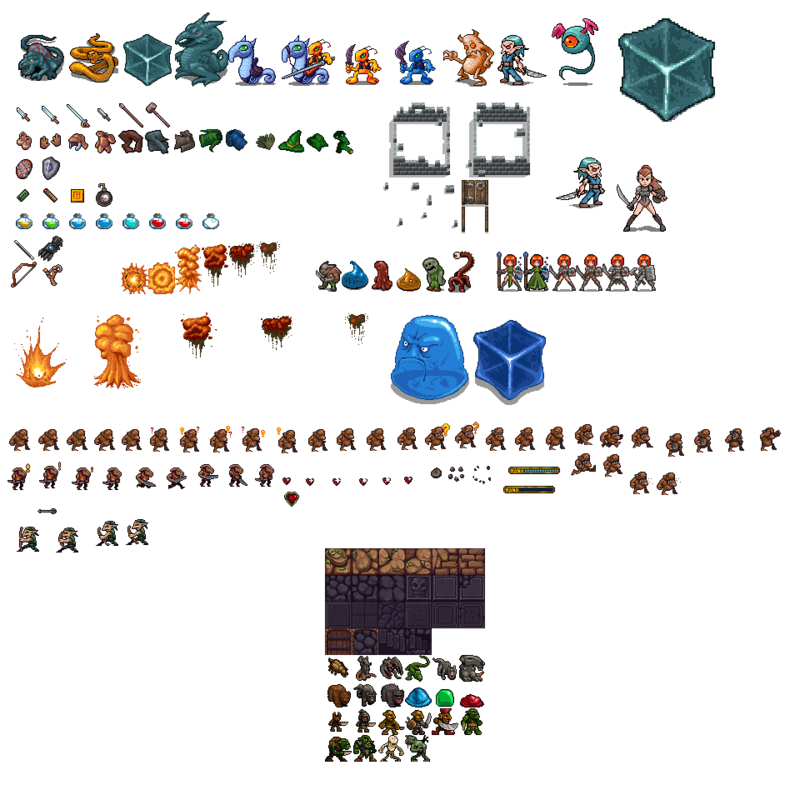 If anyone is making a Zelda like RPG I'm sure these assets would come in handy, especially the bomb. 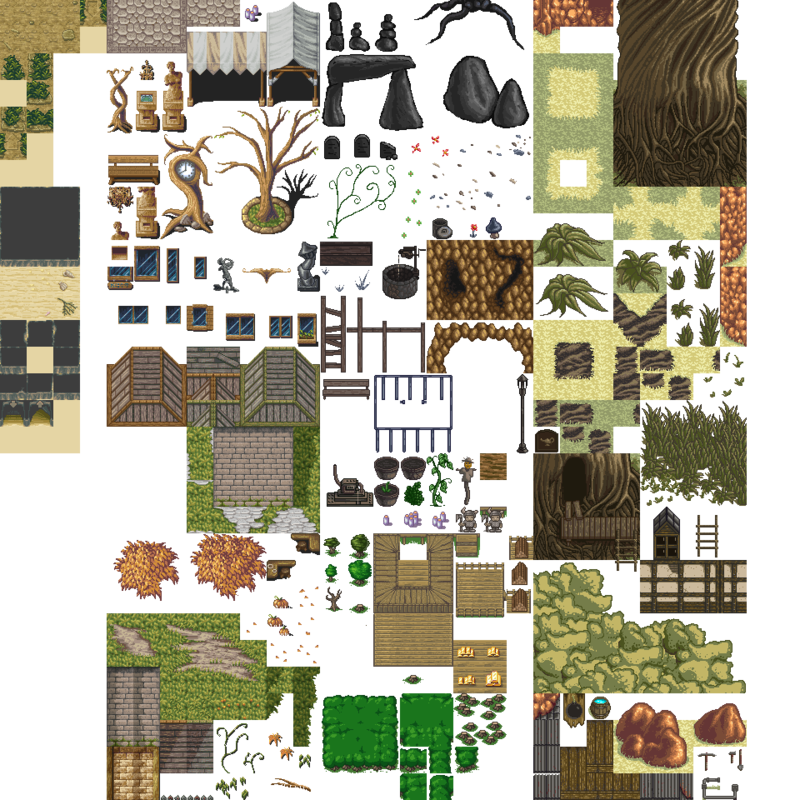 I have plans to use some of these assets myself. I'm not a programmer but I have a solid game engine that has it's own scripting language which makes a non-programmer able to make their own game. 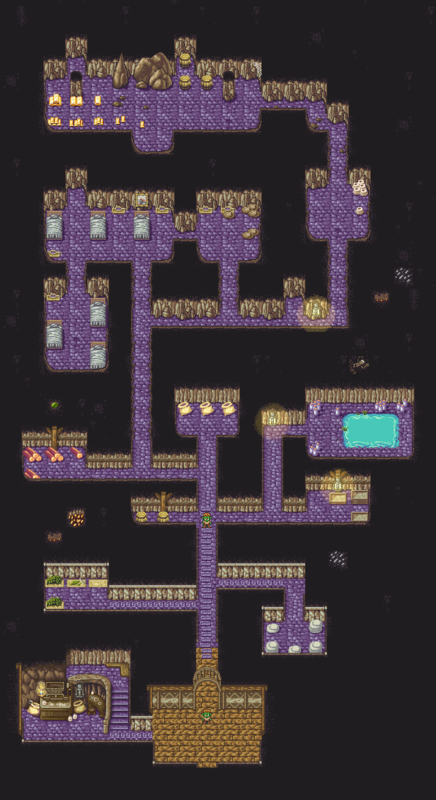 Soon I will put word out on freegamedev.org and see if anyone is interested in modernizing this old game. It was made in 1999-2003. Check out my account page for more info. Please credit Hyptosis and Zabin (only drew 6 frames of the bomb's wick burning) from OGA and respect to the License. <- Drooling. So good. Can definitely make an entire game with this pretty easily. I'm looking forward to seeing this in a finished game. incredible! already am using on my project! Sorry for being lazy with the tags. Just added a bunch more. It seems that these may roughly fit a couple of remakes I'm loosely looking at working on. Should I be able to code 'em up (which I probably won't until at least this March), I'd be looking at collaborating for a better fit. May make quite a Kickstarter project, I suppose. The located art here was utilized for our Android game Riding Rhodri. There is also a lite version located here if you would like to give it a shot. Thank you for the hard work you put into your art so that we could make our game look that much better! Signed up to say thank you for this! Some incredibly beautiful work here; it's very generous of the artists to license it CC by 3. Wow!! Thanks a lot for sharing!! This must have taken forever to do. It looks great.